Episode #1: Occupational Philosophy or Creating Chaos? Today’s podcast features Kevin Watson, one of the finest thinkers we know around organisations and disruptive leadership. Kevin is the former Operations Director at Selfridges and was a key part of the turnaround team there. He was also their Head of Customer Service, so we wanted to tap into some of his wisdom and radical thinking. Kevin is a sublime coach, with first-hand experience in organisational design and leadership. As Kevin would say, radical change has already happened. It’s now about individuals and organisations catching up and learning to embrace the possible. 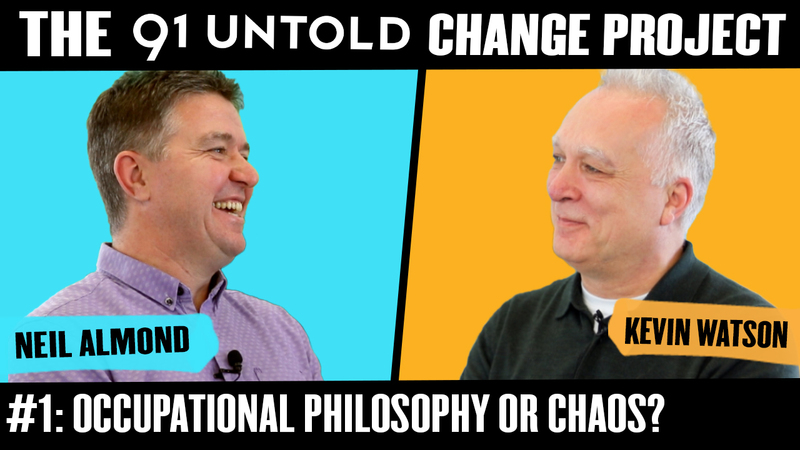 In this podcast, he discusses with out host, Neil Almond, his ideas around occupational philosophy, creating chaos in businesses and how appraisals should be dumped and kicked into touch. Kevin has a passion for shaking up the way organisations are led and is an advocate of dismantling the hierarchies within them, so that teams run from the bottom up. A highly experienced Leadership & Team Coach, designing & delivering bespoke behavioural change programmes for medium to large enterprise. Also acts as an Organisational Design Consultant to boards of global companies, as well as supporting local business owners. Passionate about making a difference, by enabling and encouraging leaders who want to create and sustain meaningful change in themselves and the organisation. Expertise covers leadership coaching, developing high performance teams and organisational culture change; supporting people to develop the skills and confidence to become measurably more successful – however they define success. Combines a supportive, results focussed approach with practical tools acquired throughout a successful career in Retail spanning over thirty years; notably part of the Senior Team responsible for the transformation of Selfridges to the iconic shopping experience it is today. Assignments have included personal change, organisational design, managing conflict and high impact influence with organisations as diverse as Debenhams, Kellogg, World Duty Free, Taylor Wimpey, Phase Eight, Au Pont Rouge and The Tribunals Group.